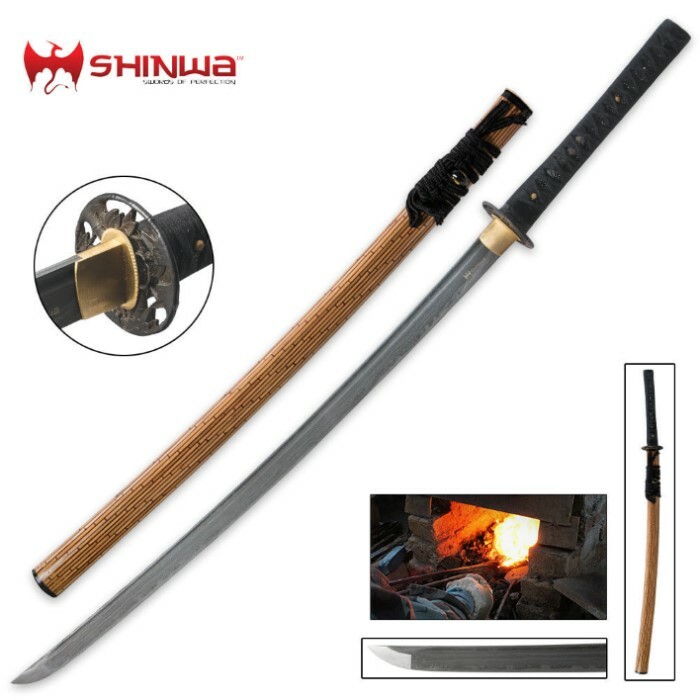 This collector-quality edged masterpiece from Shinwa will be the focal point of your sword collection. 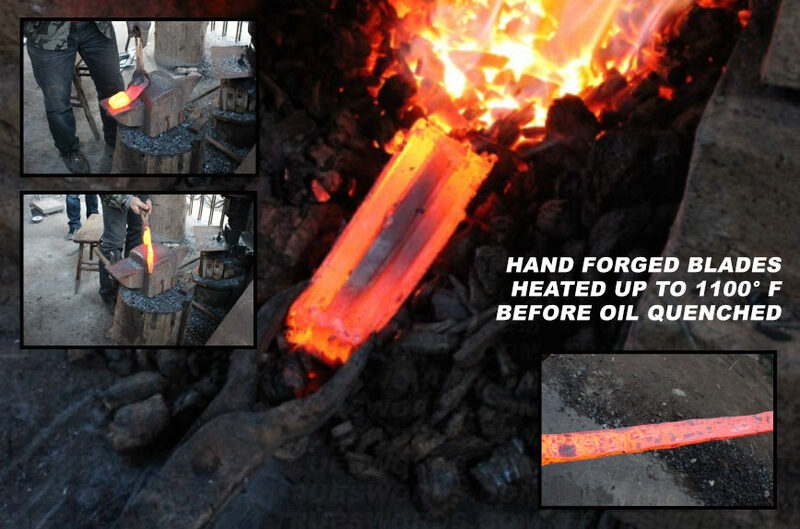 It features a 28" heat-forged Damascus steel blade that has been meticulously hand folded and sharpened. 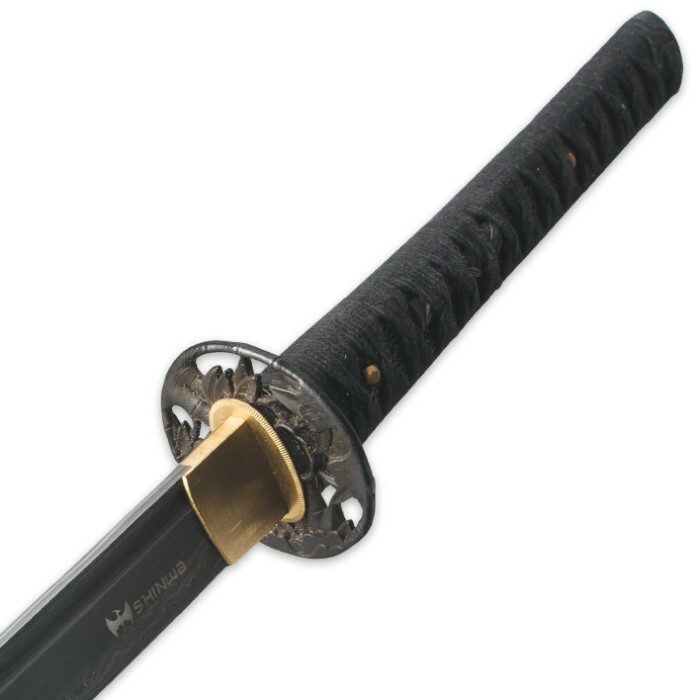 A deep blood groove spans the blade, and an elegant brass habaki (blade sleeve) completes it with style. The ray skin handle is wrapped with black cords, and the antique-finished cast zinc alloy tsuba features a bamboo leaf motif. 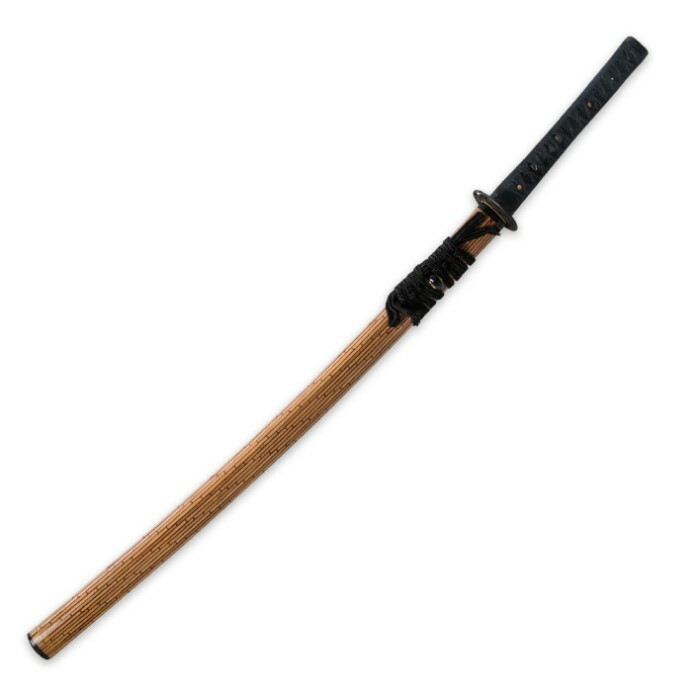 The scabbard is carved of genuine bamboo wood, giving this katana a custom-commissioned look and feel. 39-1/4" overall length.